What does earth stewardship mean to you? Artist Greg Mort and the Rosenberg Gallery at Goucher College invite you to respond to the question. Anyone can submit a visual answer in the form of a 4” x 6” color photo or digital image. 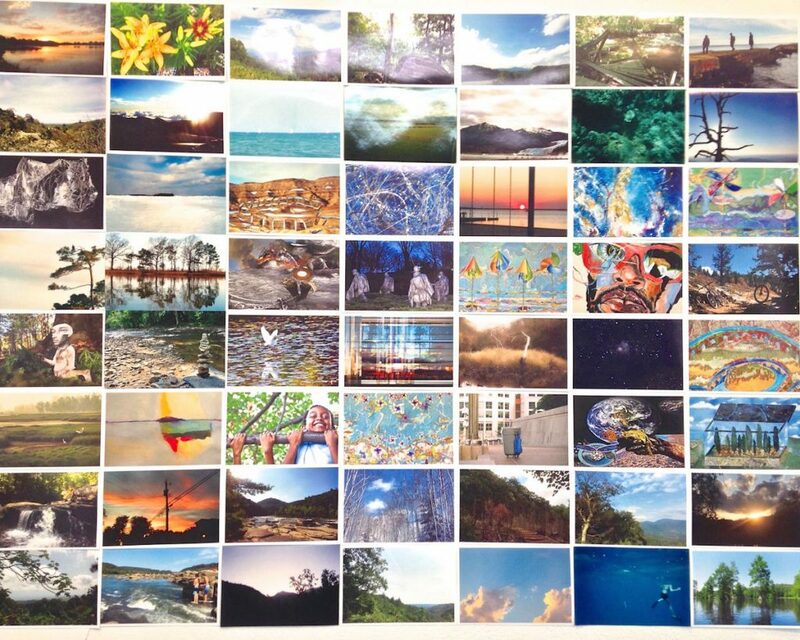 The images collected since early January are being used to create a large-scale, site-specific photo collage installation which will continue to expand for the duration of the exhibition through February 22, 2017. This exhibition is being presented in conjunction with the Maryland Association for Environmental and Outdoor Education (MAEOE) conference. Mort wanted to devote some of the wall space to images created by other artists and this fit well with Gallery Director Laura Amussen’s motivation to attract a larger audience through interactive initiatives. In this exhibit, Mort’s passion for environmentalism is combined with his practice as a photorealist oil painter. 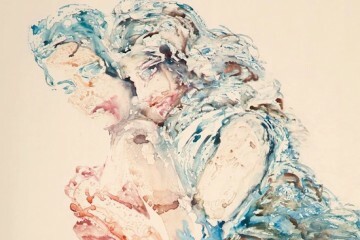 However, the works on view are all giclees on canvas and one on paper, presenting images which have been reproduced for years and are available in many iterations. This show is not so much about seeing the artist’s technique up close and personal. 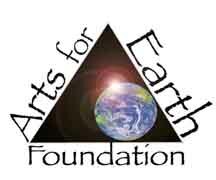 Rather, it encourages awareness for the foundation established by the Mort Family to encourage good stewardship of the earth and environmental awareness through the arts. In many ways, this exhibit celebrates our role as caretakers of our tiny oasis in space, presenting familiar images of our planet and setting them at a human scale. 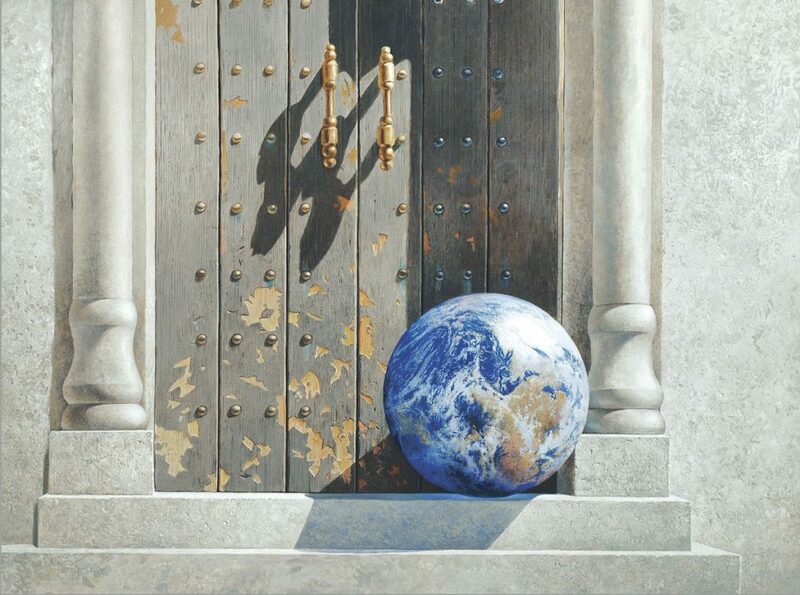 In “One World,” our blue planet is the size of a basketball and its colour is reflected on the metal studs of heavy, old doors. It is a tiny orb amongst seashells in “Oceans,” reminding us of the perception that our planet is but a mere speck in the cosmos, like a grain of sand. 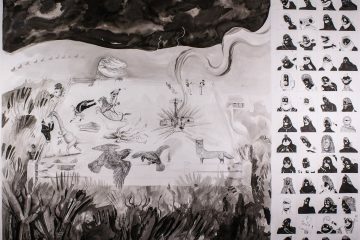 Mort’s tableaus are reminiscent of traditional, northern European paintings, called nature morte in French, literally dead nature, and a connection to the artist’s surname is so obvious one must make note of the irony. 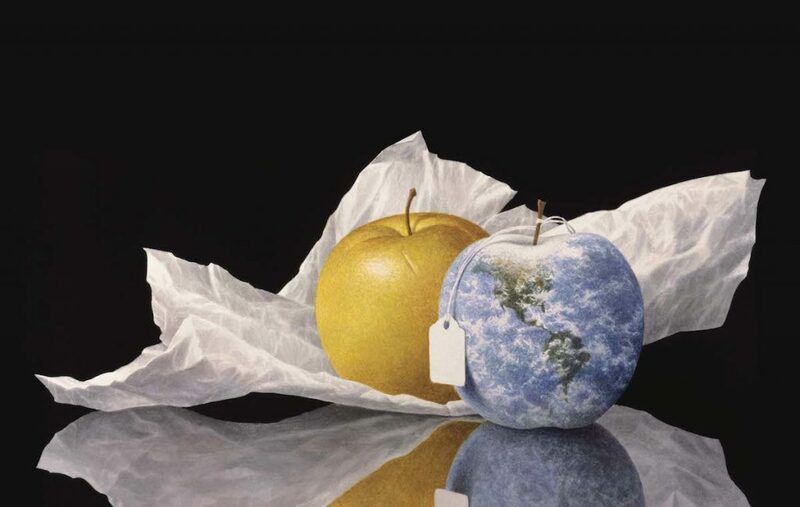 I was particularly taken by the compostion titled “Stewardship.” An yellow apple, that was wrapped in paper is next to the planet earth, also in the shape of an apple, with a price tag hanging fron its stem. The image is partially reflected underneath these objects. The apple is precious because it was carefully wrapped a lá Harry and David, but the earth has the price tag. “Splashdown” relates to Mort’s opening remarks about the iconic photo of the earthrise taken by Apollo 8 astronauts the first time they saw the earth from the moon (Dec, 1968). This image is the second most reproduced image and it started the environmental movement and the establishment of Earth Day. “We came all this way to explore the moon, and the most important thing is that we discovered the Earth,” said Astronaut Bill Anders, who took the iconic photo in 1968. As our shocked nation tries to make sense of all the executive directives against the EPA, climate change, NASA, and all the #Alt’s, this exhibition takes on an even more poignant, nostalgic, and important tone. 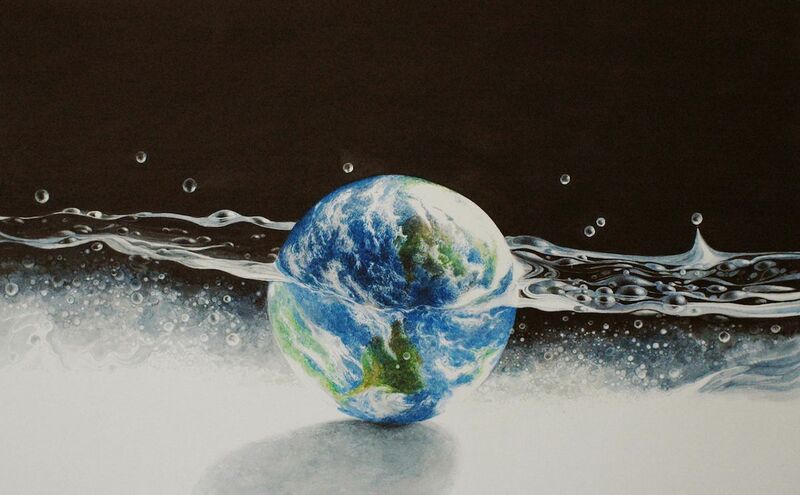 Greg Mort – eARTh: The Art of Stewardship will be presented at Goucher College’s Rosenberg Gallery in the Kraushaar Auditorium from December 20, 2016, through February 22, 2017. This exhibit, which is free, open to the public, and accessible to all, can be viewed Monday through Friday from 9 a.m. to 5 p.m.